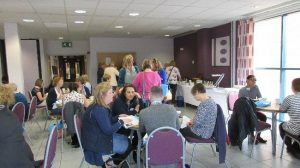 In May 2016 the Charity organised it’s annual study day for professionals. 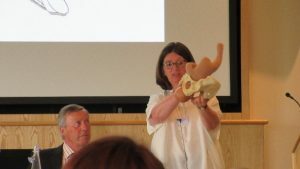 This event was extremely well attended by over 60 Midwives and Obstetrical staff who learned Best Practice Techniques for overcoming a delivery complicated by Shoulder Dystocia without causing a Brachial Plexus Injury to the baby. 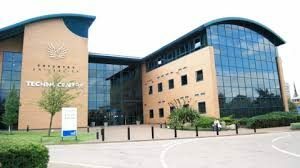 Delegates arrived at the Techno Centre in Coventry from 8.30 am for a 9.15 am start – early morning refreshments offered the delegates a chance to network and meet discuss their own practices. 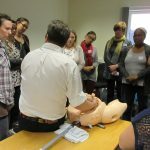 Professor Tim Draycott from Southmead Hospital gave an engaging and informative presentation before delegates had a chance to try out the “nellie” life like mannequin. Other Guest speakers included Jenny Fraser on Managing the Risk of Shoulder Dystocia, Kathryn Gutteridge on the Psychological Effects of the Trauma and Grainne Bourke on the surgical treatment of Brachial Plexus Injuries. The Erb’s Palsy Group was represented in presentations by Andy Pudduck who has an Erb’s Palsy and Jackie Dewdney, whose son Samuel has a bilateral injury.